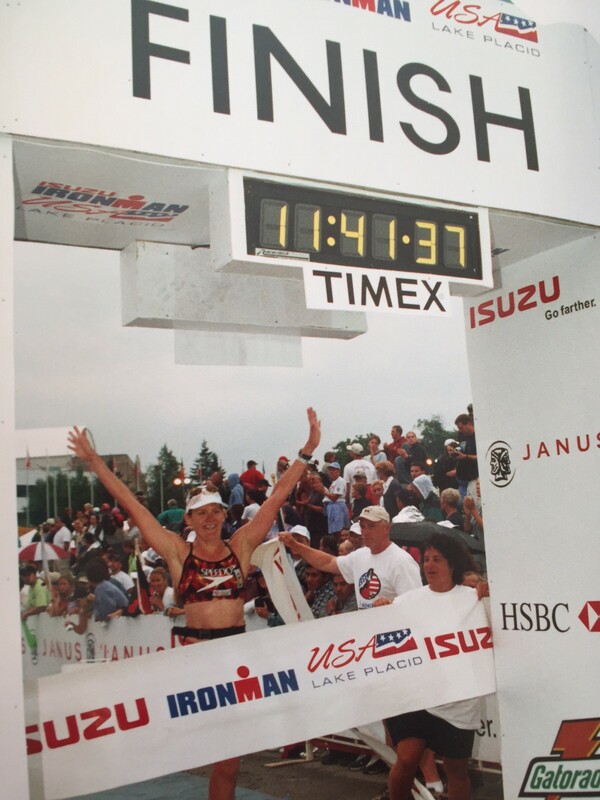 Over the past 14 years working with athletes on race day nutrition and my own 22+ years as a competitive triathlete, I have read many things (and so have my clients). I have tested many of the theories and some were right and other were not. Many make generalizations about what to do with race day nutrition especially 2-3 days leading up to the race. When I work with my clients on their Eat To Compete program, we create a nutrition plan customized to the clients needs. Many suggestions I have read assume we are all the same. We are not. So our needs are different – my job is to create the optimal plan for you so you know what works for you! Here are the 3 misconceptions I have read and heard about race day nutrition days before your race. I wrote another article on carb loading on why I don’t recommend it. 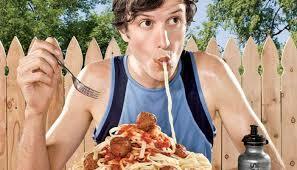 Generally, in order to do carb loading properly, you need avoid them completely for 2 days. After 2 days of no carbs, then you eat only carbs to gain a small increase in glycogen stores. For most people, this is unrealistic a few days before the race as you will not feel well unless you are increasing your healthy fat intake at the same time you reduce the carbs. You want to continue eating as you normally do for the most part. If you have been limiting your carbs to 100 g per day, 2 days before your event is a good time to increase the amount to 150-200 g per day. This is more than you are used to, but is the difference between eating half a yam vs a whole one with your dinner of salmon or chicken and broccoli. You want to just make sure you increase from 1/2 cup of carbs to 3/4 cup but maintain the proportion of the protein (4-6 oz), healthy fats (tbsp of olive oil or butter), 1 -1 1/2 cups of your green vegetables. 2 – Eliminate fiber 2-3 days before the race. 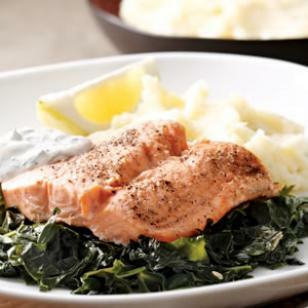 Maybe a bit less salmon and potatoes, but this is a balanced meal! I find this to be a terrible suggestion. Ok, for some this may be okay as they have GI issues leading up to a race. If we have worked together, we have addressed the GI issues and race day or not race day, you know which foods to avoid. And high fiber is not the issue especially coming from your green vegetables. If you eliminate the green vegetables, chances are you will just get constipated. And I think that is a worse problem than loose stools personally. Although one could argue as to which is worse! ha I did USAT Nationals one year and there were no green vegetables I could eat. I ended up stopping at a grocery store on the way back to teh hotel and bought a bag of lettuce. But since I had mostly pasta for dinner, and not much protein either, I woke up without being able to go at all. Luckily this was only an Olympic but it was one of the most uncomfortable races I have done. 3 – Don’t drink alcohol. This really depends on how much you drink. Yes, a glass of wine or a glass of beer will help with nerves and anxiety, but more than that and you will get to the starting line dehydrated rather than ready to go. My best races regardless of whether a sprint triathlon or Ironman included a steak, half a baked potato, half a plate of broccoli and a glass of red wine. Did I need the red wine for calories? Nope. I needed it so I could stop worrying about the event the next morning! 1 glass seems to be okay, but more and I sleep poorly, tossing and turning and usually wake up in the middle of the night with crazy cramps in my feet. Yes, and extra dose of electrolytes may correct that, but then the extra electrolytes I was taking to electrolyte load are being depleted before I even wake up! There are more I am sure, including caffeine intake, what to eat for breakfast the morning of your race and what to eat for pre-race dinner. Don’t change how you are eating just in race week – this is not the time to play with options. You already know what works. We found your optimal plan in our Eat To Compete program. If you are ready to look at your diet to optimize your race day nutrition, schedule a time to chat so we can review your needs and which Eat To Compete or other program would be best for you.